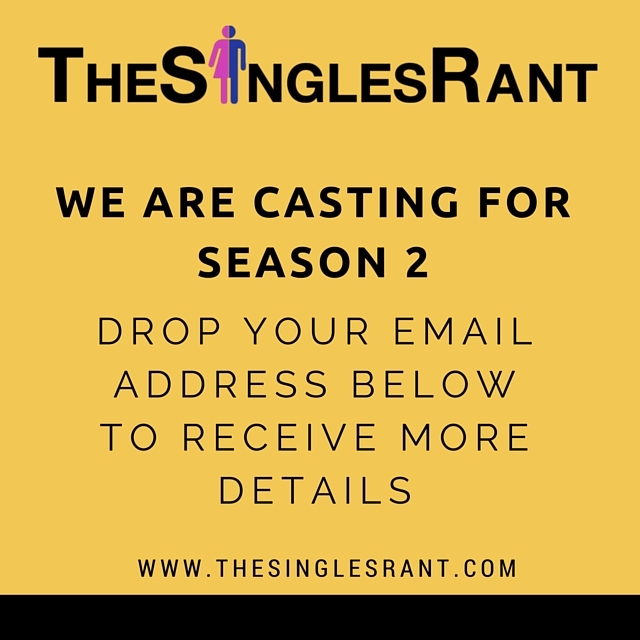 The Singles Rant: Here's Your Chance To Be Cast For Season 2! We are halfway through our first season and we want to thank all of you for tuning in, subscribing to our Youtube Channel and spreading the love. With Season 2 rapidly approaching,we wanted to extend an invitation to our viewers to be casted! 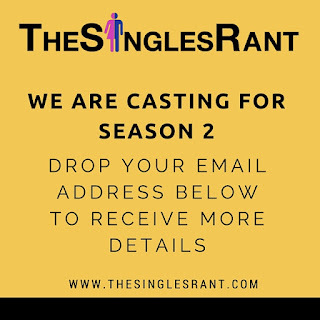 Would you be a good fit for "The Singles Rant"? Leave your email below to be considered, good luck and please spread the word! Thank you Jessica! We'll be in touch!